The lovely Lauren Parsekian is well known for her stance against bullying. Her experience with being bullied by other girls while in school fueled her spirit, and several years later with the platform and recognition gained from her hard work, she has been a strong voice against the act. She is an American actress, director, and activist. She is also a co-founder of Kind, an international anti-bullying campaign, pushing her message with movies documenting how bad females get bullied in schools. Lauren Parsekian was born on the 8th of December, 1986 in Orange County, California where she also grew up. Her love for acting grew thanks to her parents, who were both involved with the movie industry. Lauren grew up with her siblings; Brooke, and Liam, in Orange County. Her mother is the famous actress Debra Kelly, and her father was Thomas Parsekian. Debra Kelly appeared in movies Prizzi’s Honor (1985), Hot Resort (1985), CHiPs (1997). Thomas Parsekian starred alongside his wife in Hot Resort, and also appeared in Fame (1982) and Club Life (1986). Lauren Parsekian suffered terribly at the hands of bullies when she was in middle school. This happened mostly because she was a popular girl, and a lot of the other girls were jealous of her status. She was bullied by her classmates and even older girls. She has shared her experience on how she’d often get beat up, have things thrown at her and even have her homework destroyed. A particular incident she publicly shared was one that a close friend of hers instigated over a boy. The close friend got the entire school to turn against Lauren and treat her bad. The ordeal caused her a great deal of harm, and she sunk into depression and developed an eating disorder. She couldn’t talk or fight her way out of it, and this lead to suicide attempts in the seventh grade. Lauren Parsekian’s love for acting didn’t waver despite her tumultuous time in middle school, and after graduating she attended Pepperdine University located in Malibu, California. She graduated with a degree in filmmaking in 2009. Lauren Parsekian had her filmmaking debut with the 2011 documentary Finding Love, a movie she filmed alongside friend Molly Thompson (née Stroud). Together, they backpacked across the US for two months looking into the physical and psychological abuse girls go through at the hands of other girls in school. The movie was produced by Shady Acres Entertainment. Her strong belief in girl power and her experience at the hands of bullies led her to make the film. It was positively received, with critics and fans applauding the subject matter and approach. Thanks to the success of the film, Lauren Parsekian and her friend Molly went on to launch Kind Campaign, a campaign geared towards eliminating girl-on-girl bullying while fostering love and kindness. The non-profit organization has worked directly with schools with this sole aim in mind. Lauren Parsekian has involved herself in other movie roles. She was part of the YouTube comedy NCIS: Special Agent DiNozzo Visits Dr. Phil, as well as a syndicated version of the 1981 show Entertainment Tonight. She has been a guest on several shows like Dr. Phil (2009); Jimmy Kimmel Live! (2014); E! Live from The Red Carpet (2014); Kind Campaign’s own Extra (2014); The Ellen DeGeneres Show (2016); and Celebrity Page (2017). 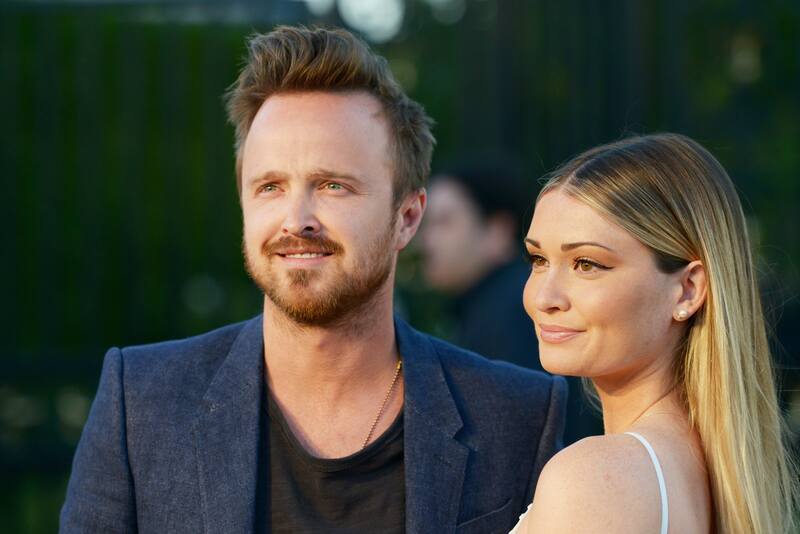 Lauren Parkesian got married to her longtime boyfriend Aaron Paul. Aaron Paul is an American actor best known for his role as Jesse Pinkman in the AMC series Breaking Bad, which he was in alongside Bryan Cranston. Lauren and Aaron met at the Coachella Music Festival held in California when she was 17 and began dating shortly after. On the 31st of December, Aaron proposed to her at a Paris party. They got married on the 26th of May 2013. Together they have a daughter, Story Annabelle. Lauren Parsekian has been able to amass a good sum of net worth from her professional acting career. That amount is estimated at a comfortable $8 million.